The nearest airport is Raja Bhoj Airport which is located 12 km from the City. Raja Bhoj Airport is very well connected to all the cities in India by means of regular flight. Few of these cities include Mumbai, Delhi, Jabalpur, Gwalior, Indore, Ahmedabad, Kolkata, Bangalore and many such cities. - Bhopal Junction Railway Station which is the main and the most important railway station in the City. This station falls on the North-South Route and connects to major cities in India. This Railway Station receives more than 150 trains daily. - Misrod Railway Station which is located in the Nisrod suburbs of the City for inter-city connections. - Habibganj Railway Station is again one of the developed stations with much popularity among the city residents who use this station more for traveling to various routes. Habibganj Railway Station falls on New Delhi – Chennai route, Bhopal – Jabalpur route and Bhopal – Indore route. - Sukhsewanagar Railway Station falls on the Bhopal – Bina Line and many passenger trains and express trains halt at this station regularly. Ideal for inter-city transport. - Nishatpura Raiway Station is a terminal railway station that falls on the west Central railway route. - Bairagarh Railway Station too falls on the West Central Railway route and many express trains halt at this station. It is very well connected to the various cities in India, since two National Highways pass through it. NH-12 passes through this place and connects it with Jabalpur and Jaipur. NH-85 connects the city with Dewas and Sagar. On the other hand, State Highway 17 connects with Indore. Other than these, there are various buses which travel to Bhopal from major cities including Indore, Ujjain, Khajuraho, Pachmarhi, Gwalior, Jaipur, Nagpur, Agra and many other cities. When it comes to accommodation facilities, this city has lot much to offer. Being the capital of Madhya Pradesh and also one of the main airports of Madhya Pradesh, this city receives many visitors including tourists, transit and business travelers who visit the city and also look out for accommodations here. Excellent accommodation facilities are made available for tourists who are here either for sightseeing or for traveling to nearby places. One can find each and every range accommodation right from economy hotels to star category hotels. MPTDC Palash Residency: MPTDC Palash Residency is a 3 star property owned by MPTDC which offers luxurious and affordable accommodations to its guests. This hotel is comfortably located near the Jawahar Bus Stand and thus is easy accessible. The facilities and accommodation options are beyond par and hence turn out to be an ideal accommodation option when in the city. Hotel Lake View Ashok: Hotel Lake View Ashok is a joint venture of Ashoka Group and MPTDC Tourism. This is a 3 star hotel located centrally in the city. The best part about staying at Hotel Lake View Ashok is that it offers an excellent view of the Upper Lake and the Van Vihar National Park from its rooms. Hotel Lake View Ashok also offers one of its kind dining restaurants in the form of SHAN-E-BHOPAL, which is a broad gauge restaurant. This hotel offers ideal accommodation for both business travelers as well as tourists. Mentioned below is the list of hotels which are well known for their comfortable and luxurious accommodation for tourists who visit the city. 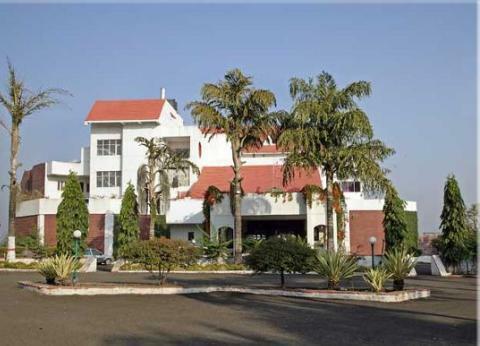 Hotel Rajhans Regent: Hotel Rajhans Regent is a 3 star hotel located in the city. Hotel Rajhans Regent is known for its comfortable accommodation arrangements. This hotel is conveniently located near the Interstate Bus Stand. Hotel Rajhans Regent offers luxurious accommodation option with its Executive rooms and suites. 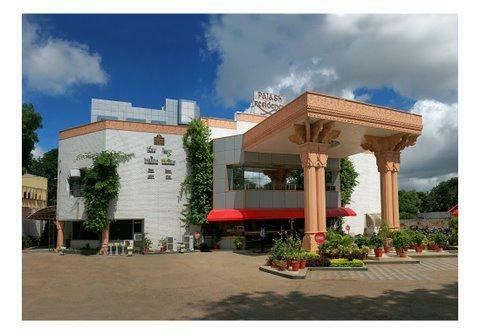 Various facilities and services are offered by Rajhans Hotel which includes Multi-cuisine restaurants, gymnasium, conference halls and much more. Hotel Jehan Numa Palace: One of its kind heritage hotel, Hotel Jehan Numa Palace is a 5 star Heritage hotel located amidst the Shamla Hills here. 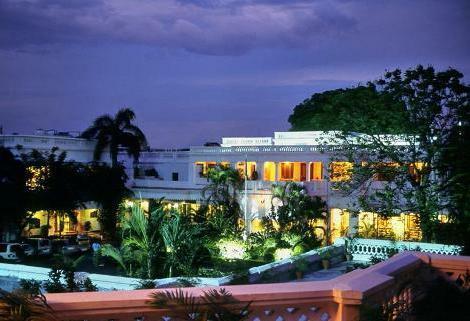 Hotel Jehan Numa Palace offers royal accommodation in its 100 rooms. This hotel is popular among foreign tourists who visit India to taste its royal culture and heritage. Hotel Jehan Numa Palace offers various luxurious facilities which include Spa, Fitness Center, Banquet Halls, Conference halls, horse riding, swimming pool and many more. Nice article and beautiful photographs, I also like to mention here I found regional science center, Fish equarium , Manuabhan ki tekri, Bhojpur, Kankali devi temple, Salkanpur devi temple, are also good places to visit in and near Bhopal.